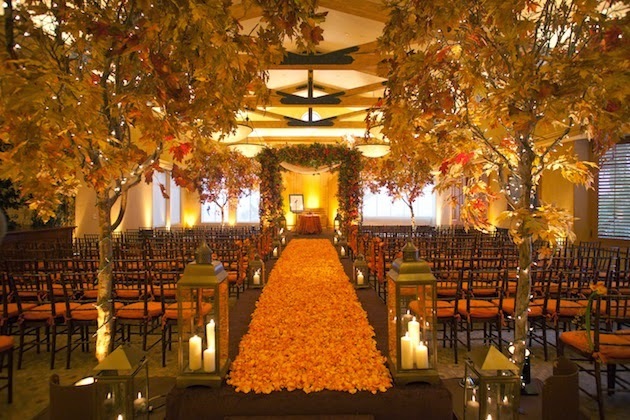 Memorable Wedding: Looking For Autumn Wedding Decorations? 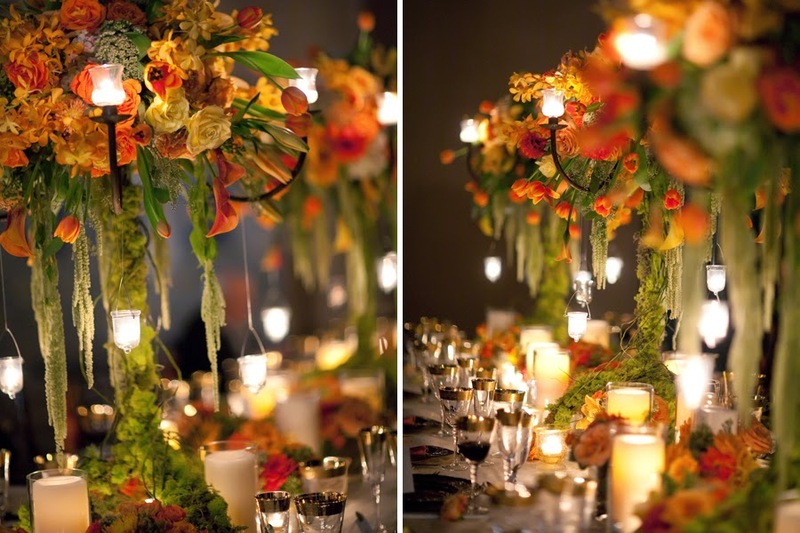 Looking For Autumn Wedding Decorations? Autumn has always been a popular season to be married, and recently it seems that everyone is taking advantage of the perfect weather fall has to offer and of course, the rich, bold, natural color palette. With the change in the foliage, you can plan your wedding to be outdoors and minimize the need for decorations during your ceremony. But, have a back up plan with either a tent or a quick indoor location, because Mother Nature is not always willing to give you the perfect sunny day you wish for. But don't make that a worry, as long as you have a Plan B in place, you will still benefit from the crisp beauty of the season. There are so many options with a fall wedding. September offers delicious reds, muted greens, and golden yellows. You need to look to a local apple orchard for color and decoration inspiration-- small apple details printed on place cards, apple topiaries as centerpieces, warm apple cider as a cocktail option, and milling spices as a parting gift for your guests. October brings burnt ochre, deep russet, and forest green tones. The use of pumpkins, fall leaves, acorns, and gourds will set a warm tone for your wedding, and they are all inexpensive ways to decorate. Favors could be as simple as some roasted pumpkin seeds in a small burlap sachet and a ribbon. Use the nature around you to inspire color and texture for your day. 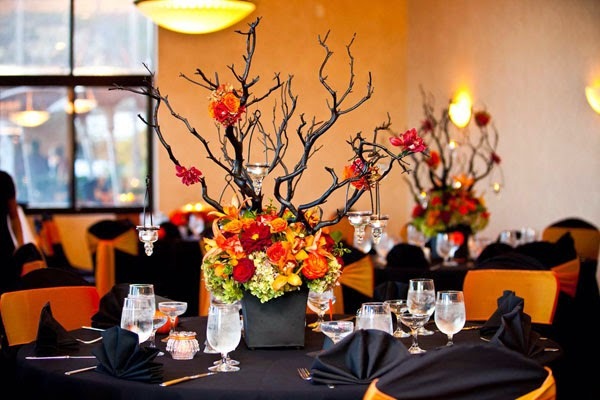 If you are looking to really make and impression and want something different for you wedding, take those pumpkins and carve Jack o' Lanterns as centerpieces and scatter some candy corns around the base. November brings a harvest of colors and ideas. It is a season of being thankful and your wedding is a chance to capitalize on that sentiment. Rather than traditional table numbers, mark the tables with gold words signifying things for which you and your groom are thankful. Rather than a typical wedding cake, look to the season. Petit fours of pumpkin cheesecake, pecan pie, and spice cake would be a surprising dessert for your guests to enjoy. Autumn is rich in color and inspiration. The cool but comfortable weather laden with the scent of cinnamon and nutmeg and sounds of crunching leaves will create a wedding to remember.